This entry was posted on Thursday, May 17th, 2012 at 4:58 am	and is filed under 3d, 3D ENGINES, ARCHITECT, GAMEDEV, TECHNOLOGY. You can follow any responses to this entry through the RSS 2.0 feed. Both comments and pings are currently closed. 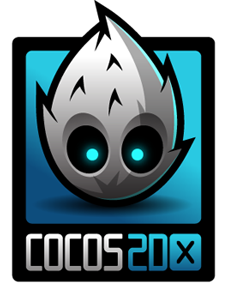 +1 for Cocos2d-x! I ported my Cocos2d-x across iPad, Android and Playbook very easily. The only hard part was configuring all the IDE/compiler environments. Hoping when the NDK for the Windows Phone hits with Tango, they’ll target it natively also. cocos2d-x like any C++ project takes a little more setup but once you are rolling there are no walls.The Tango NDK for Windows Phone will finally make the platform one to develop for, excited for that. There will definitely be a porting great wave that will hit when that happens. Can anyone say how can I port win32 proj to android proj on cocos2d-x ver.2 in Windows 7 64x? I see website http://www.drawlogic.com and its impressive.I wonder if the content or banners advertising options available on your site ?